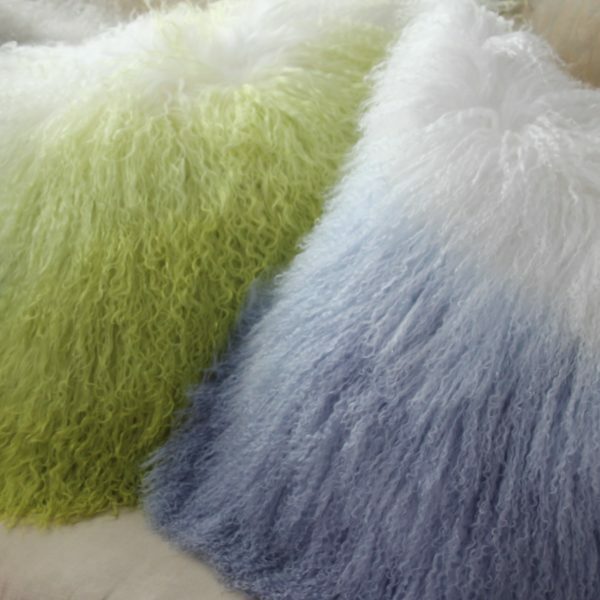 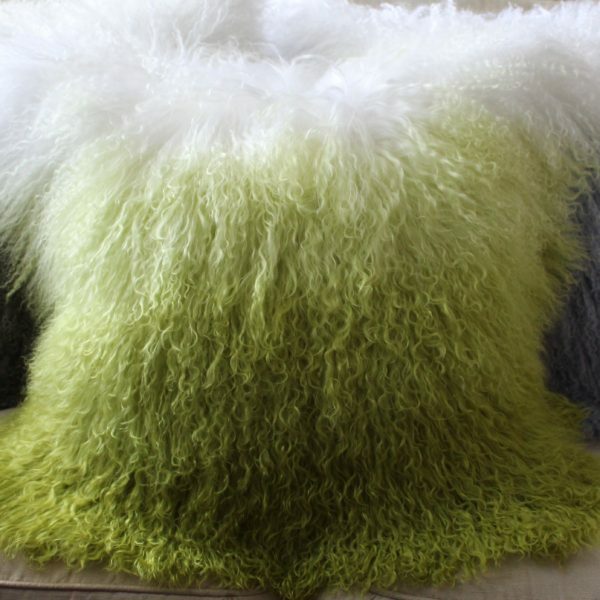 The ultimate in cosy this Mongolina sheepskin cushion is incredibly soft to the touch and will leave you wanting to sit and stroke it like a cat. 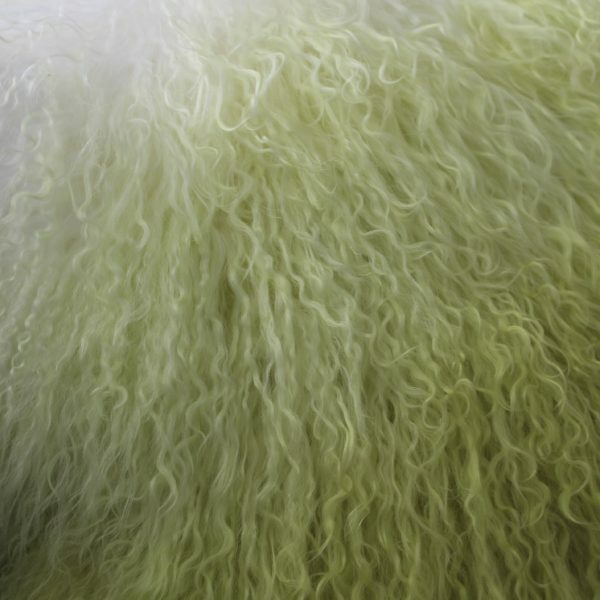 The wool has been dip dyed to give a gradiated ombre effect running from natural white to a rich leaf green. 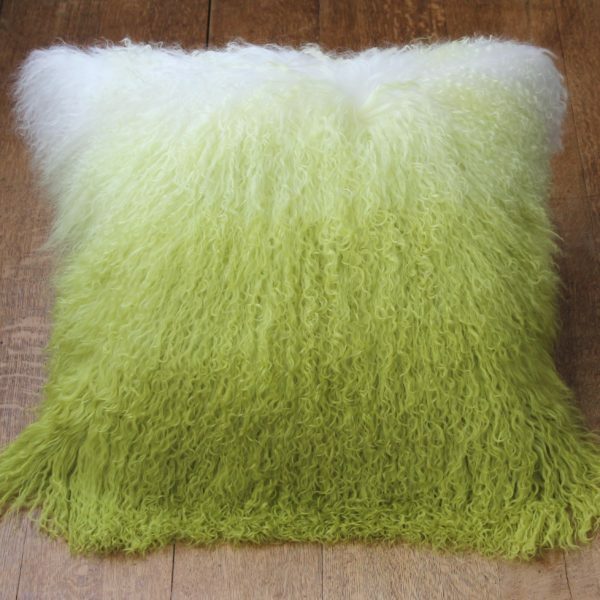 At 50cm square there is more than enough to sink into and give impact on your bed, sofa or chair.